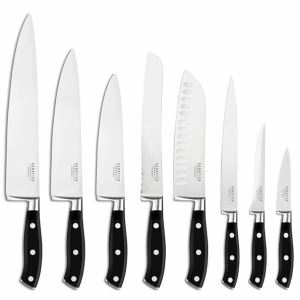 Every chef needs a good set of knives. 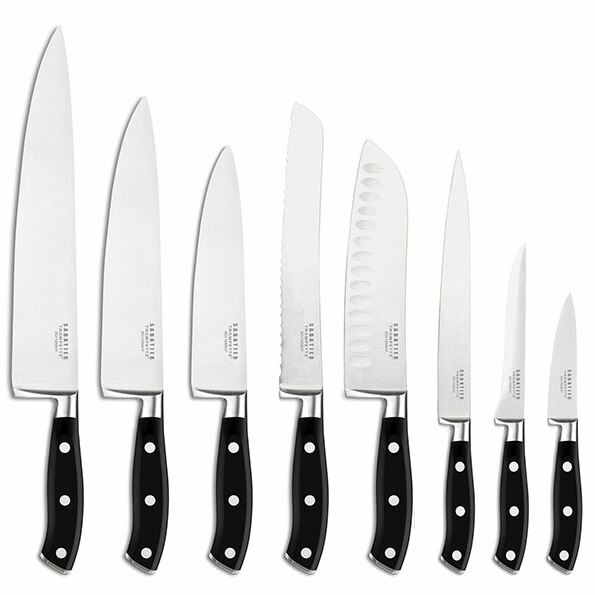 This Sabatier Trompette knife set guarantees high quality knives. 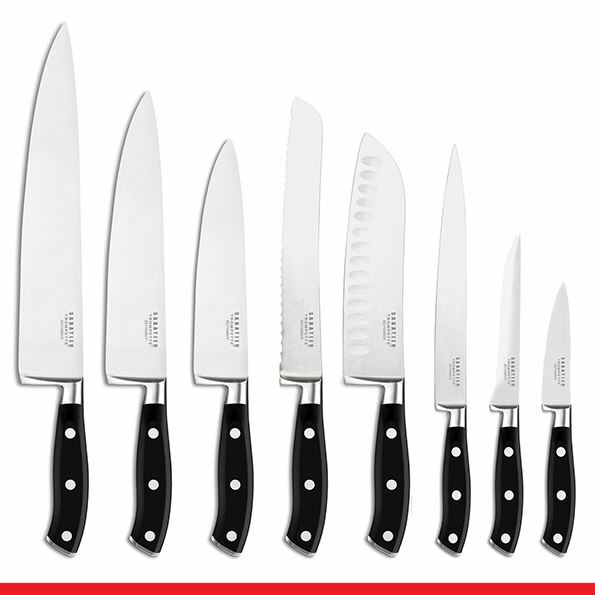 The knives are made of high quality MoV steel for a better cutting edge. The POM dishwasher safe handle with stainless steel rivets assures a firm grip. 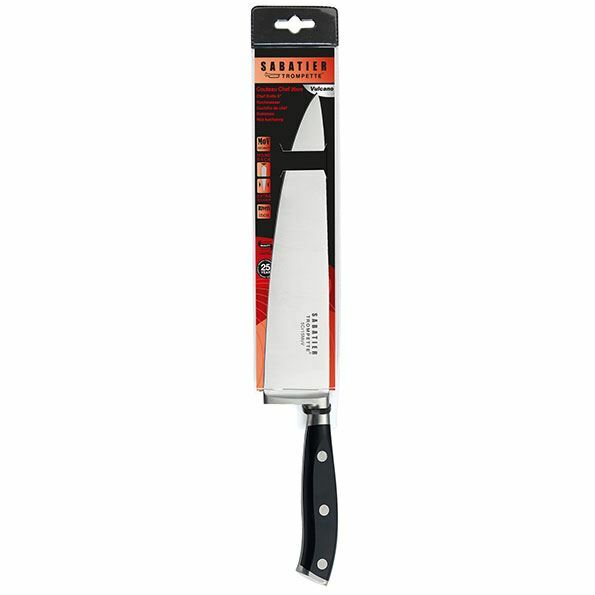 The full tang gives you the best cutting experience possible. 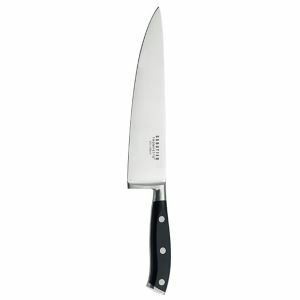 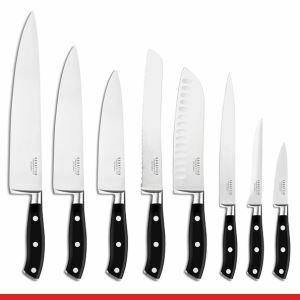 129 Chef knife 160 mm / 6,5" 132 Chef knife 200 mm / 8"
142 Flexible filet knife 131 Chef knife 200 mm / 10"